Get ready for your letter of the week unit with all these fun, clever, and unique letter us crafts for kids. 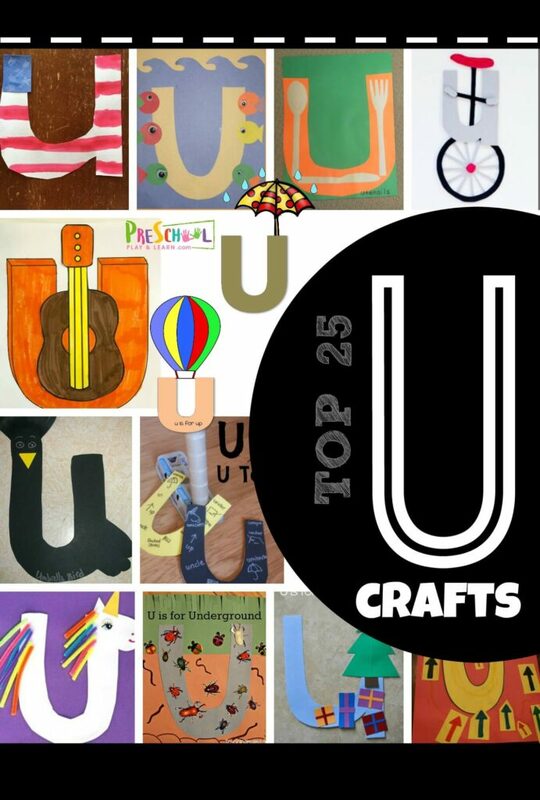 Printable U is for umbrella Letter Craft – free template to print, color, cut, and paste / tape. U is for Unicorn is bright and colorful craft from Glued to my Crafts that uses pipe cleaners! This clever idea of making a U for Under the Christmas Tree from I Heart Crafty Things is so fun! Printable u is for up Lowercase Letter Craft – NO PREP! Just print free printable, color, cut and paste these cute alphabet crafts.